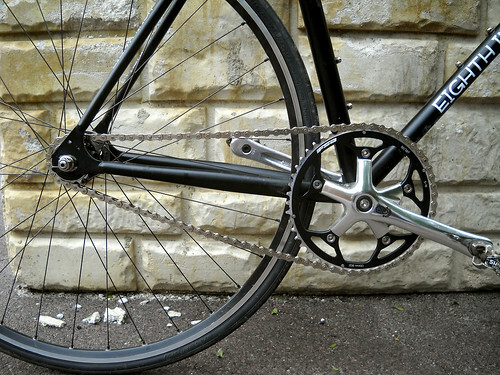 I was a little worried how I’d get along with a 46×16 gear ratio back when I got my bike, but I seemed to get used to it pretty quickly. In fact, the only thing I felt I needed more of was high gearing, not low. I live in a hilly city, but I’ve only found two hills I can’t make it up (if you saw them you’d understand), but I like top-end speed and can never get enough. I finally made the jump to a 48T last November, which took a few rides to get used to. Since then, I’ve logged a trillion or so miles on it (+/-), and my legs have gotten stronger due to the increased effort. It’s now to the point that I make it up most climbs without noticing, so it only made sense to go bigger. 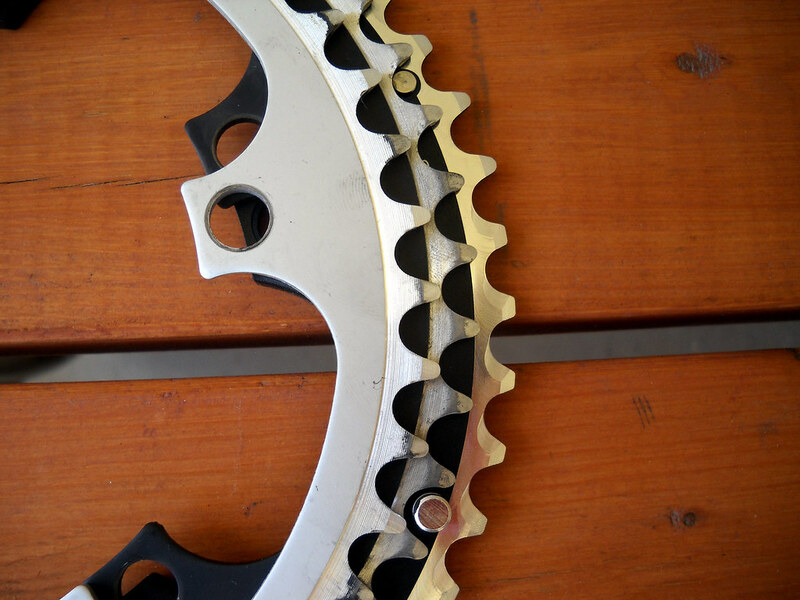 With my EighthInch 6061AL chainring in bad shape (it’s hard to tell from photos, but there are gouges in the teeth where the chain makes contact), I decided it was time to replace it. 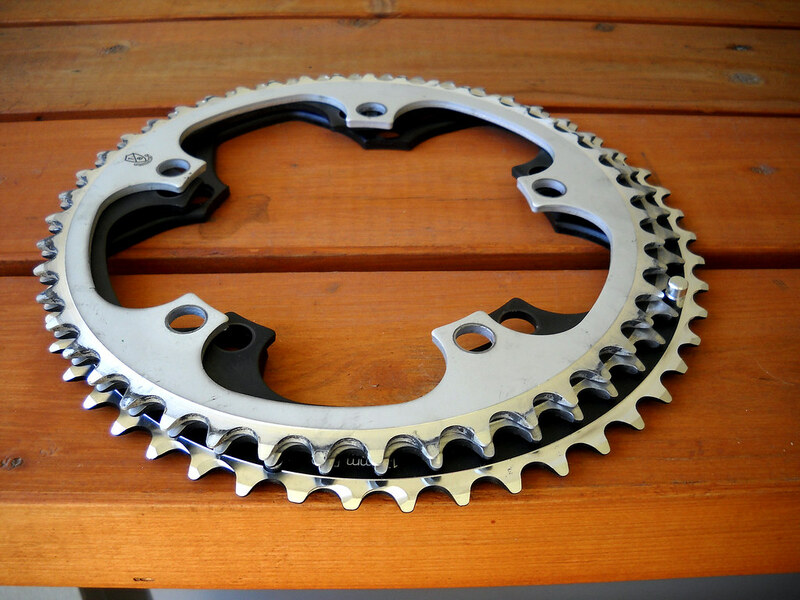 Not only have I moved up to a 50T, but I found chainring options for what I needed–50 teeth, 130mm BCD, reasonable price… black–were pretty limited if I went with another 1/8" model. 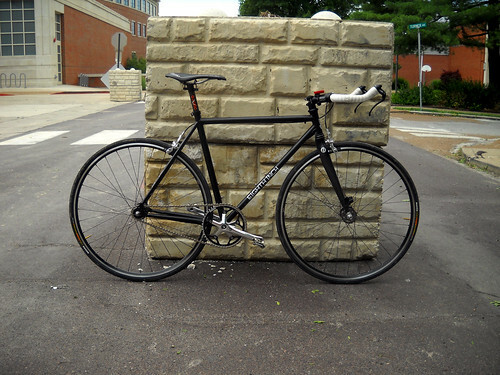 I got lucky and found this FSA model on Benscycle.net for $35. The 7075AL is much stronger and stiffer, and the price was right. Only problem: it’s a 3/32"!! Oh, well, F- tradition, I ordered it, and the proper sized chain to go with it. It’s not a singlespeed-specific model, but it’ll work if I keep my chain tensioned correctly. The only part of my bike that’s eighth-inch anymore is the logo on the downtube, but that’s the least of my problems. 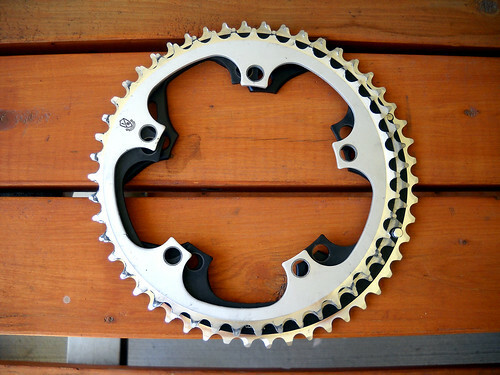 The majority of my problems are going to be the 82.4 gear inches I’m pushing up some big ol’ hills. 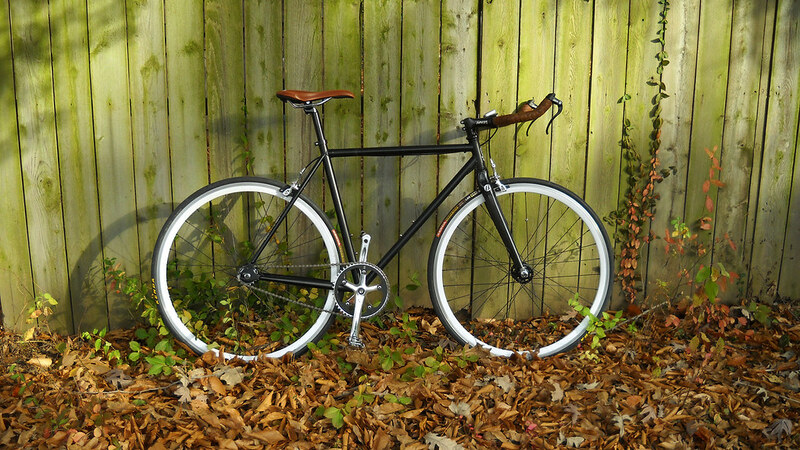 Nice piece o’ machinery! Cheers to more speed.